Be careful where you sit! You might find yourself in the embrace of Mr. Bones. 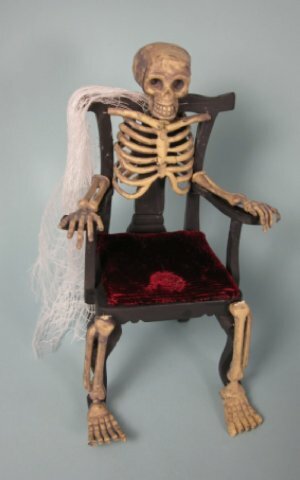 This spooky handcrafted chair adds just the right touch to your halloween or wizard scene.